Lyra has released the Preschool Story Hour schedule for November and December. Children (birth to age 5, older siblings welcome) and their care-givers are invited to share stories, songs, sign language, crafts and a snack. Story hour is hosted in the Heath Free Public Library by Lyra Johnson-Fuller. A great way to meet other local parents and have some fun with your baby/toddler/young child! C/W MARS has posted a notice on the online catalog that the catalog and circulation software is being upgraded this weekend, beginning at 6 pm on Friday, November 8. The catalog and circulation software will return to normal service on Tuesday, November 12. Many libraries are closing due to the difficulties of serving their patrons without the circulation software, but the Heath Library will be open as scheduled on Saturday, November 9, with somewhat limited services. The library will be closed on Monday, November 11, 2013 in observance of Veterans Day. And don't forget, one more Story Hour this month: Friday, October 25, 10:30-11:30 am. 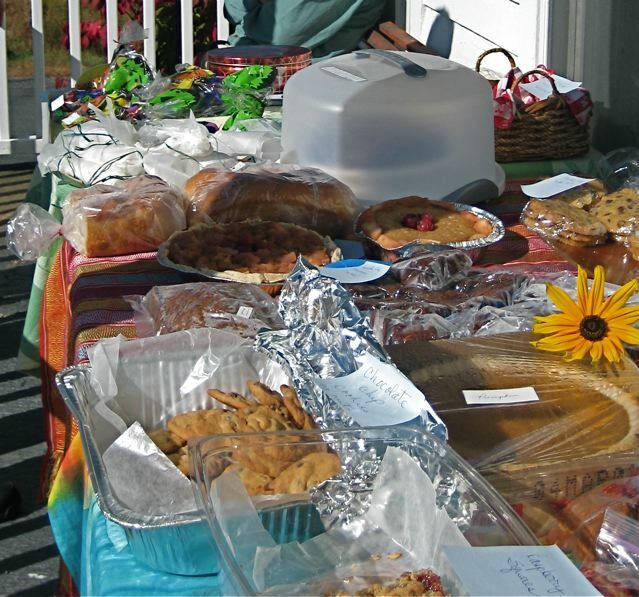 Please come to the Friends of the Heath Free Public Library Fall Bake Sale on Saturday, October 12, 2013, from 10 am to noon on the front porch of Sawyer Hall. Cookies, pies, cakes, pizzas, and more. The library will be closed on Monday, October 14, 2013 in observance of Columbus Day. The Summer Reading Raffle prize winners will be drawn on Saturday, September 7 at noon. Children who signed up for the Summer Reading program get 5 free raffle tickets. We also have 1 adult raffle prize: a Summer Reading T-shirt (size Adult Large.) All adults may have 1 free ticket to enter the raffle. Children who signed up for the Summer Reading Program are reminded to bring in their Reading Logs by September 7 to receive a $10 gift certificate to a bookstore and other prizes. The library will be closed on Monday, September 2, in observance of Labor Day. Be sure to stop by Saturday morning to stock up on books and movies for the holiday weekend. 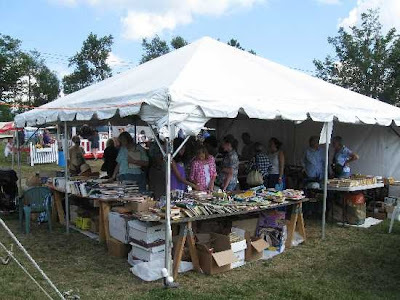 Visit the Friends of the Heath Free Public Library Book Sale Tent at the Heath Fair! 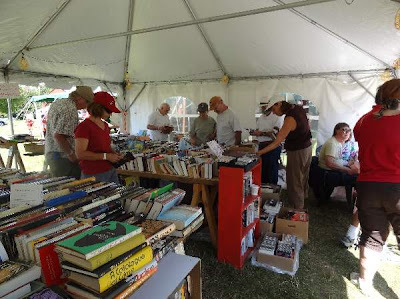 Thousands of used books - hardcover and paperback, adult, teen, children's, fiction, non-fiction. Also audiobooks, DVDs, VHS tapes, and a raffle. Please join us for an evening visit with Cousins Mary Leavitt and Elizabeth Field as they reminisce about their family's Abolitionist activities in Charlemont during the 1800's. 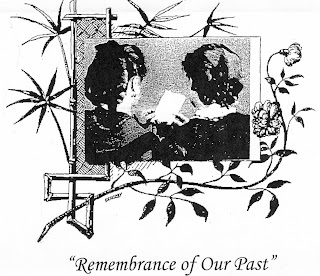 Follow along, as they recount the life and times of the Basil Dorsey Family, Freedom Seekers on the Underground Railroad, and the connections they had with the Leavitt Family of Charlemont and Heath. The evening promises to be a thought provoking step back in time, revealing the courage and principles guiding seekers of Freedom and the people of Western Massachusetts. Presented by Bambi Miller and Mary Boehmer. Discussion to follow the program. "This program is supported in part by a grant from the Heath Cultural Council, a local agency which is supported by the Massachusetts Cultural Council, a state agency." This Program is sponsored by the Heath Library's Summer Reading Program. Time to "Dig Into Reading"
The Heath Free Public Library invites children ages 5-12 to sign up for the free Summer Reading & Crafts Program. Please come by the library and pick up a reading log to keep track of the books read during the summer. Later, turn them in to receive prizes and enter a free raffle. Sign up for some fun crafts sessions with Lyra Johnson-Fuller that include some crafts related to the Dig Into Reading theme, updating the giant Mother Nature Marionette for her second appearance at the Heath Fair, and decorating your bicycles for the Heath Fair Parade. The crafts will take place in the blue building on the Fairgrounds four Wednesday evenings: July 17, 24, 31, and August 7 from 6:00 - 7:00 p.m.
For more information, please call 337-4934 ext. 7. Library hours are Monday, 3:00-7:00 p.m., Wednesday, 12:00-7:00 p.m., and Saturday, 9:30 a.m.-1:30 p.m.
Crafts sessions are sponsored by The Friends of the Heath Free Public Library and are also supported in part by a grant from the Heath Cultural Council, a local agency which is supported by the Massachusetts Cultural Council, a state agency. Dig Into Reading is sponsored by the Heath Free Public Library, the Massachusetts Library System, Boston Bruins, and the Massachusetts Board of Library Commissioners. Looking for an open library? Let the West County Libraries help you discover what you need. Corner of Main & Bridge St.
Directory of all Massachusetts libraries. Please come to the Friends of the Heath Free Public Library Spring Bake Sale on Saturday, May 25, 2013 from 10 am to noon on the front porch of Sawyer Hall. Cookies, pies, cakes, mini-pizzas, and more. Squelch (21 points) down your muddy road for an evening of SCRABBLE at the Library. Please bring your SCRABBLE game if you have one. The library will be closed on Monday, February 18, 2013 in observance of Washington's Birthday. The library is closed today because of the State of Massachusetts travel ban. The Heath Post Office and Transfer Station are also closed today. On the advice of Heath's Emergency Coordinator, the library will delay opening today until the State of Massachusetts lifts the travel ban. Need help filing your taxes on-line? Not sure where to find printable tax forms? The Web links below will help you get started. Update 3/1/2013 The survey is closed. The Massachusetts Board of Library Commissioners is investigating the creation of a new statewide library card program, and they would like to know your thoughts. Your participation in this short survey will help them provide you with a better library experience throughout Massachusetts. The survey is very short, only 11 questions. It should take four or five minutes to complete. It asks for no personally identifiable information. The survey will be available until the end of February, 2013. Heath Library Catalog All items in the Heath Library collection. Heath Library Children's Catalog All items in the Heath Library Children's collection. Digital Catalog (downloadable eBooks, Audiobooks, Videos, Disney Digital Books, and Public Domain eBooks) See the Digital Catalog Help page for more information. Commonwealth Catalog If you can't find what you are looking for in the Heath Free Public Library Online Catalog or the All C/W MARS Libraries Catalog, then try the Commonwealth Catalog. It allows you to find and request books and other materials from libraries in eastern Massachusetts. Mediated Interlibrary Loan Borrowing Service - Can't find the book or other library material you are looking for in the catalogs listed above? As member of the Massachusetts Library System, the Heath Library may submit Interlibrary Loan requests for books, CDs, cassettes, DVDs, videos and other returnable items, as well as photocopies of pages from books and other monographs. Contact the Heath Library for more information.